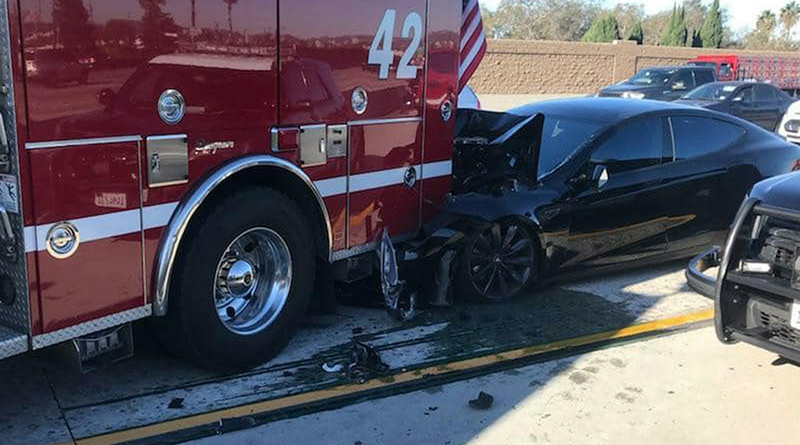 A second federal safety agency has opened an investigation of an accident in which a Tesla car on “Autopilot” rammed into a parked fire truck. The National Highway Traffic Safety Administration is sending a team of investigators to California to evaluate the crash and “assess lessons learned,” the agency said. The National Transportation Safety Board announced Jan. 23 that it was sending investigators to examine the Jan. 22 collision, in which a Model S hit the truck assisting in a separate accident on the side of a freeway near Los Angeles. The inquiries highlight the growing concerns about cars that are increasingly capable of autonomous operations, which have been permitted with limited government oversight. The NTSB, for example, rarely conducts investigations of highway accidents, generally opening inquiries in of cases that have multiple fatalities or involve broader safety concerns. NHTSA’s Special Crash Investigations unit typically looks into around 100 crashes a year, often non-fatal ones. The Tesla’s driver said he had the vehicle’s Autopilot driver-assist system engaged when it struck the fire truck, the union for Culver City, Calif., firefighters said on Twitter Jan. 22. Tesla said in a statement that Autopilot is “intended for use only with a fully attentive driver.” The company said it has taken steps to educate drivers about the need to keep their hands on the steering wheel and be prepared to take over from Autopilot, which it calls an “advanced driver assistance system” that is not intended to turn the vehicle into an autonomous car. A Tesla spokeswoman declined to comment on the investigations. The NTSB has previously said Tesla’s Autopilot system was a contributing factor in a 2016 fatal crash in Florida. In that case, a Model S driver died after the car drove underneath a crossing semi-trailer that the Autopilot’s sensors failed to detect. NHTSA also investigated the 2016 crash and concluded that there was no “defect in design or performance” of the Autopilot system. The case was closed. Separately, NHTSA’s Special Crash Investigations inquiry into the 2016 crash concluded that multiple driver-assist and crash avoidance systems had limitations but did not respond to the impending collision. The driver was responsible for maintaining control of the vehicle and neglected to do so leading up to the crash, investigators concluded.